This is the first of four season previews for our fall teams. Stay tuned for girls' soccer, girls' tennis and cross country and in the days ahead. 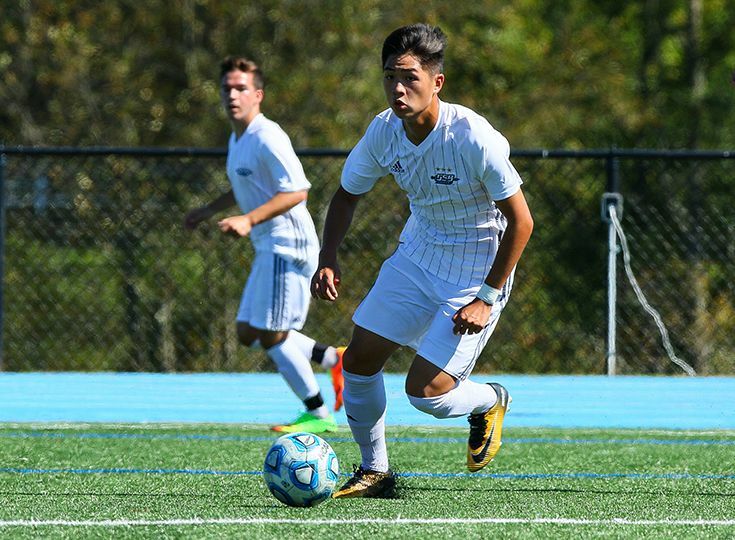 The boys’ soccer program has experienced a great stretch of success in recent years, particularly within their division of the Skyland Conference. The Knights have won three straight Valley Division titles as well as a Non-Public B state championship in 2016 and a Prep B championship in 2015. This year, they have been moved up to a higher tier within the Skyland Conference and will be facing tough competition from schools with much larger student enrollments. "It poses a daunting task for us as,” says head coach Tony Bednarsky. “We are going to have the toughest schedule I have ever had here. We will face powerhouse Pingry along with a lot of really good Group 4 schools. The big question going in: can Gill handle the step up? We want to make a mark in the new conference right away and try to make an impact." For the team to stay competitive in its new division, the Knights will have to do it without All-State standouts August Boland and Bailey Gano who both graduated this past spring. Bednarsky, however, still likes the roster that he will be sending out to the field this Fall. The Knights will be anchored by a strong quartet of seniors: John Baber, Tyler Merna, Andrew Moglianesi and Daniel Shen. Fellow senior Gabe Myler will provide depth at defense, and senior goalkeeper Mitch Fishbein is expected to contribute as well. Junior standouts Ayman Kazi, Nick Kovalenko and Jacob Siegel will anchor things down for the Knights on the defensive side of the ball. An extremely strong sophomore class features five sophomores who can possibly start: Adam Berrocal, Jordan Canica, Micah Garnett, Cody Torgovnik, and Edwin Gutierrez. This year’s squad will also feature an incredibly talented freshmen class, including goalkeeper Alex Borto and midfielder David Frankel. Despite a heavy reliance on younger talent, Bednarsky says the goals and expectations from the team will not change from previous years. "Our main goal is to always have the eyes on the crown for the Non-Public B title," he says. "We also want to advance as far as possible in Somerset County and Prep B tournaments. We feel confident we can do this because with our tougher schedule, we will be more prepared for the state tournaments."